The Innocents. By Francesca Segal. Voice/Hyperion, 282 pp., $25.95. Anyone who has read Edith Wharton’s book may see much of the action coming and hear an echo of its theme — the power of tribal customs to thwart individual desires — in its namesake. But Segal finds an inspired setting for her first novel in the endogamous world of well-to-do Jews who eddy around Golders Green in the age of iPods and Bernie Madoff. 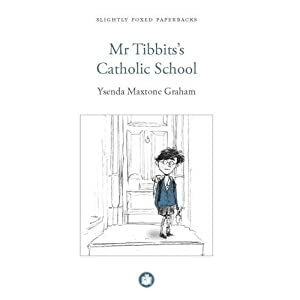 Worst line: From the moment that a Jewish son enters secondary school, “there is the constant anxiety that a blue-eyed Christina or Mary will lure him away from the tribe.” This lightly satirical line may be true, but Mary fell out of favor as a name for Christian girls a half-century ago. A reading group guide with discussion questions for The Innocents appears on the publisher’s site. Published: June 2012 (Voice/Hyperion hardcover), paperback due out in May 2013. Furthermore: The Innocents won the most recent National Jewish Book Award for fiction in the U.S. and the Costa first novel prize in the U.K. You’ll find more on The Age of Innocence in an excellent blog about the book by Liverpool Continuing Education students. Segal talks about The Innocents and its Costa award in an interview with Simon Round. Mrs. Harris Goes to Paris & Mrs. Harris Goes to New York: The Adventures of Mrs. Harris. Bloomsbury, 320 pp., £7.99, paperback. Good fairy tales are hard to write. Good fairy tales for adults are even harder. And good fairy tales about sixtyish widows are next to impossible. Young characters may pursue reckless dreams without looking foolish because they don’t know enough of life to see the absurdity of their goals. Older protagonists get fewer free passes. A middle-aged character may look ridiculous on a quest that would seem natural for a 20-year-old. Paul Gallico avoids such pitfalls and invests a graying dreamer with warmth and buoyancy in Mrs. Harris Goes to Paris, a novella first published in 1958. 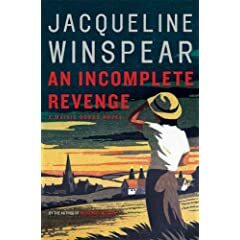 He writes of a London charwoman who leads a life tightly bound by poverty and the English class system. Ada Harris is nearing 60 but has seen less of the world than many teenagers. And if her inexperience leads to missteps, her work gives her dignity. A penniless widow, she cleans homes of the higher-born in Belgravia for the equivalent of 45 cents an hour, 10 hours a day, 52 weeks a year. One day Mrs. Harris sees a Dior haute couture gown in the closet of a client and resolves to have one like it. She wants one simply for its beauty, not because she hopes it will help her find a new husband or gain social cachet. Or, as she puts it, “it’s the most beautiful thing I’ve ever laid me eyes on and I mean to ’ave it.” Having acquired the desire, she pursues it by sacrificing almost everything that brings her pleasure – movies, newspapers, trips to the corner pub – despite costly setbacks. When she finally reaches the House of Dior in Paris, Mrs. Harris faces another hurdle. She learns that she must stay in the city until seamstresses can make her dress. Without money for a hotel, she seems thwarted, until her kindness and resolve captivate the Dior employees who help her reach her goal – a group that includes a lovelorn model and a lonely auditor besotted with her. All of this might have amounted to so much marzipan had the story ended there. But after she returns to London, Mrs. Harris suffers a further ordeal that gives her tale a twist ending and reveals its larger purpose. A story that at first resembles a light-hearted, Cockney-accented adventure turns into a parable about the human desire for beauty and the many forms beauty takes. What matters more, Gallico asks, a tangible or intangible treasure? “Mrs. Harris had never tasted caviar before, or pâté de foie gras fresh from Strasbourg, but she very quickly got used to them both, as well as the lobster from the Pas-de-Calais and the eels from Lorraine in jelly. There was charcuterie from Normandy, a whole cold roast poulet de Bresse along with crispy skinned duck from Nantes. There was a Chassagné-Montrachet with the lobster and hors d’oeuvres, champagne with the caviar and Beaune Romanée with the fowl, while an Yquem decorated the chocolate cake. The description of the meal is good, but the line that follows gives it punch and a tinge of bittersweetness. Mrs. Harris Goes to Paris may be sentimental, but unlike many 21st-century bestsellers, it is not just sentimental. It describes a woman who has spent a lifetime earning her right to dream. And Gallico is such a good storyteller, his book is made, like a couture dress, without a dropped stitch. Worst line: “Mrs. Harris waggled her rear end more comfortably into the bench to enjoy a jolly good gossip.” Gallico comes close to making unintended fun of Mrs. Harris here. And other characters tend to view Mrs. Harris in a way that reflects the views of their day (the “little Englishwoman”). Recommendation: Mrs. Harris Goes to Paris was written for adults, but it sweetness may appeal also to teenagers. 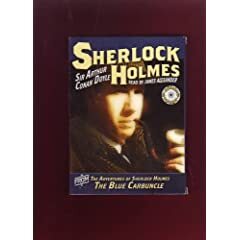 About the author: Gallico also wrote The Snow Goose (Knopf, 1941 and 2007), named the novel most deserving of rediscovery in a 2009 BBC contest. Published: 1958 (first edition), Bloomsbury paperback (2010). If you like Mrs. Harris Goes to Paris, you may like Miss Pettigrew Lives for a Day. 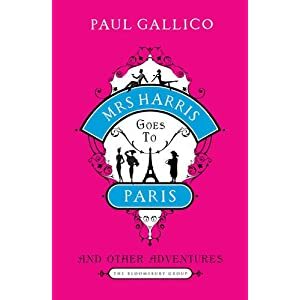 Furthermore: Bloomsbury has reissued Mrs. Harris Goes to Paris in the same volume as a sequel, Mrs. Harris Goes to New York. It first appeared in the U.K. under the title Flowers for Mrs. Harris and in the U.S. as Mrs. ‘Arris Goes to Paris. Angela Lansbury starred in a 1992 made-for-TV movie version, Mrs. ‘Arris Goes to Paris. Janice Harayda is an award-winning critic and former book editor of the Plain Dealer. You can also follow her on Twitter at www.twitter.com/janiceharayda. The Ghost Map: The Story of London’s Most Terrifying Epidemic – and How It Changed Science, Cities, and the Modern World. By Steven Johnson. Riverhead, 299 pp., $26.95. Did you know that the doctor who gave chloroform to a grateful Queen Victoria during childbirth also helped to end a cholera epidemic? I didn’t. And details like this abound in Steven Johnson’s fascinating history of how two men took on the medical establishment after cholera erupted in London in 1854. The Ghost Map reads at times like a cross between The Hot Zone with The Professor and the Madman, a medical horror story set in a gaslit city that bred disease and superstition. Johnson begins, unpromisingly, with a dozen pages on the difficulty of human waste disposal in a metropolis that had two million residents. But he quickly gets on top of his story of an epidemic that began when a mother tossed out a slop bucket in which she had soaked a sick baby’s diapers. From then on his book moves swiftly until he tries in the last chapter to extrapolate from cholera to modern threats such as suicide bombers and nuclear winter. This polemical leap is ultimately much less persuasive than what has come before it – a well-told tale of how a doctor and an Anglican curate changed the view of one of the world’s most feared diseases. Worst line: Any line that shows Johnson’s promiscuous use of the word “irony,” which he turns into a one-size-fits-all substitute for “sadly,” “oddly,” “coincidentally” or “paradoxically.” For example: “The sad irony of his argument for the waterborne theory of cholera is that he had all the primary medical explanations in place by the winter of 1848–1849, and yet they fell on deaf ears for almost a decade.” That is a sad fact, not a sad “irony.” Would you write, “The sad irony of Jan Harayda’s post on how Mitch Albom is writing at a third-grade level is that she did this on November 16, 2006, and yet it fell on deaf ears for almost five months and Albom continued to sell books at a frightening rate”? Recommended if … you like popular history, especially books about the history of science or medicine, such as Dava Sobel’s Longitude. Furthermore: Johnson also wrote Everything Bad Is Good for You.